Complete quality for the spring, summer and autum seasons. 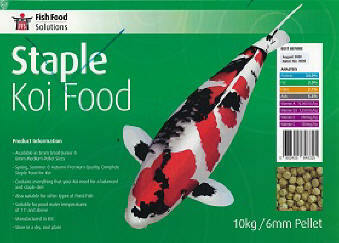 Contains everything your koi needs for a balanced and staple diet. Also suitable for other pond fish. Suitable for water temperature down to 11 degC. Manufactured in the EEC - Sore in a cool dry place.